Northern Ireland is a region of fantastic proportions. From one of the world’s greatest coastal strips to the hip and dynamic city of Belfast, this destination is a must visit. For fans of the popular TV series, Game of Thrones, it also offers spectacular views of key filming locations. What’s more, the ragged landscape and lush country side is perfect for a relaxing and leisurely holiday. Our pick of the best places to stay in Northern Ireland offer something for everyone whether you're in search of a chic city pad or a rural country house retreat. The region is also host to a number of national heritage sites, big city monuments and an incredible cultural and food scene. To fully experience this, you really need a minimum of four to five days. Despite the large attractions of the region, there are a few that are a definite must. Walk through the bustling roads of Belfast city. This battle-scarred city is a refreshing mix of old Victorian buildings, laced with a rich industrial heritage and now host to some of the trendiest restaurants and bars. If you like a road trip, don’t miss the Causeway Coastal Route. The spectacular views along the road take you from pristine seashores to ragged mountain tops. Visit the Titanic experience iin Belfast's waterfront Titanic Quarter. You'll find a fascinating exhibition inside a stunning modern building, and everything you ever wanted to know about the ill-fated ocean liner. Visit the Giant’s Causeway, home to a multitude of interlocking basalt columns – a result of an ancient volcanic eruption. An important world heritage site, and area of outstanding natural beauty, it also contains other rock formations including the Giant's Boot, Wishing Chair and Granny! Although the region has in the past faced numerous conflicts as a result of border politics, the troubles are now over. The mood is positive and prosperous and along with this comes the development of quality, world-class establishments. You will see a change from the earlier dull hotels to new and funky installations. 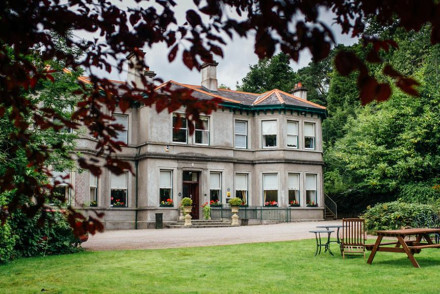 We have selected a handful of these for our pick of the best places to stay in Northern Ireland. The first Grande Luxe city hotel, the Merchant Hotel, is set in the former headquarters of the Ulster Bank. Here you will find gloriously pompous decor with beautiful velvet and silk fabrics. A superb bar, restaurant and luxury spa make this a top city spot. 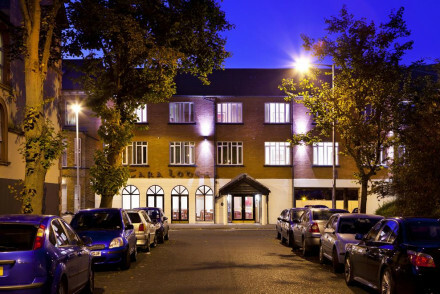 The fashionable, boutique hotel, Ten Square, is located in the centre of Belfast. It caters to the hip visitor as it's close to the city restaurants and bars. Also a great choice for business travellers. Rayanne House is a traditional property located in a leafy corner of Holywood, yet within easy reach of Belfast city centre. A perfect spot to experience the peaceful suburbs along with the city treats. The Bullitt, situated in the heart of Belfast, is an ideal spot for a city break. This designer property features contemporary and quirky interiors with plenty of artwork adorning the walls. Their funky rooms include king-sized beds and satellite TVs. Another scenic base, close to the city is the Culloden Estate and Spa. This luxury hotel overlooks the Belfast Lough and offers great food with five-star service. Book here for a weekend of pampering or a deluxe business trip. Portaferry Hotel is an excellent, waterfront property that overlooks the Strangford Lough. The hotel includes an award-winning restaurant that offers mouth-watering dishes made from the finest local ingredients. Ideal for food enthusiasts who also care for a gorgeous view. One of Northern Ireland's best known hotels set between the mountains of Morne and the sea is the Slieve Donard Resort and Spa. The hotel boasts a state of the art spa and pool complex, stylish contemporary rooms, and extensive conference facilities. All this on the doorstep of the Royal County Down Golf Course. A great spot to pamper yourself or play a game of golf. The Newforge House is a sophisticated, family-run country house hotel with excellent food and original Georgian interiors. A beautiful romantic country escape. For an authentic Irish experience, visit Bushmills Inn. Much loved by the locals and tourists alike, this cosy inn is a great place to experience scrumptious locally sourced meal and the warm Irish hospitality. 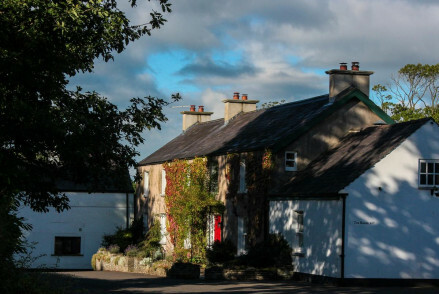 The Whitepark House is cosy little B&B close to the famous Giant’s Causeway. It is a cosy retreat that offers delicious breakfasts and warm fires – all brought to you by superbly friendly hosts! For another wonderful country escape, stay at the Tyrella House. Built in classic Georgian style, this country house has three bedrooms adorned with elegant drapes and furniture. What’s more, it has its own private beach and polo ground. If you've decided that you'd prefer to book a holiday cottage or apartment, we recommend you visit our online booking partner, Booking.com, where you'll find a wide range from budget to boutique. Northern Ireland has two main airports Belfast International Airport and Belfast City Airport. The International Airport can be reached from many UK and European cities, the City Airport is mainly served by the UK, plus a handful of European cities. There are frequent ferries between the Belfast harbour and Scotland, England and the Isle of Man. These high-speed vessels offer on-board amenities, entertainment and shopping. Enjoy the best of the Irish weather between the months of May and September. The long days offer great opportunities to take long drives, walks and explore both towns and countryside. If you wish to hire a care, which highly adivse if you plan to tour the region, we recommend you check out our online partner Rentalcars. Browse our selection of the best places to stay in Northern Ireland and start to plan your visit. Looking out to sea over the Ardglass harbour, The Old Manse is an excellent guesthouse. As the name would suggest, it's rich in character and heritage, from the Virginia Creeper facade to the elegant bedrooms. A great launchpad from which to explore the south County Down coastline. Local exploring - A good base from which to explore south County Down. Sights nearby - Pay a visit to Down Cathedral. 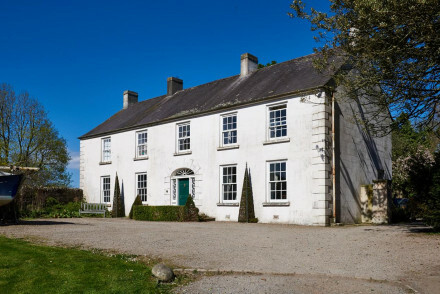 Quiet and charming, Ballymote House is perfect for those looking for a peaceful getaway in County Down. Awash with heritage and character, the house offers lovely rooms, beautiful gardens and a host of activities such as horse riding. 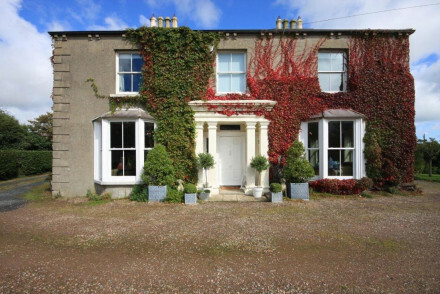 Country Escape - A great spot for a countryside escape in County Down. Fishing - Fishing trips, whether sea or fly, can be organised by the hotel. Sights nearby - Take a trip to nearby Down Cathedral. Excellent city centre choice at a reasonable price. Elegant interiors behind a 19th century traditional facade. Georgian rooms with mahogany canopy beds as well as modern, simple rooms. Excellent food at the bar and restaurant and a small hotel cafe. Great value and good location. 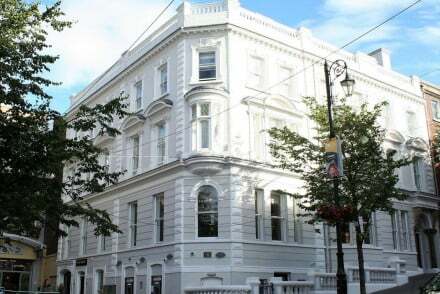 An award winning property offering value rooms in the centre of Belfast. Elegantly styled throughout - expect light wooden furniture, enormous windows, soft hues and contemporary bathrooms. Exceptionally hearty breakfasts are offered - including whiskey infused porridge. A charming stay. Local exploring - A central location, with parking, makes for easy city exploring. Sights nearby - Marvel at the impressive St. Anne's Cathedral. With pigs in the pens and sheep in the field, Ballylagan Organic Farm is exactly like its name suggests. The original farmhouse boasts four delightful rooms and there is the option of a self-catering cottage. Perfect for people looking for an immersive rural experience. Country Escape - Set on a lovely farm in County Antrim, this place is definitely for people who are looking for fresh air and open space. Sights nearby - Take a day trip into Belfast and explore sights such as the Titanic Museum, the Falls Road and the Ulster Museum. An imposing country house set in picturesque grounds. Beautifully designed throughout mixing contemporary styles seamlessly alongside the houses original features. Chef-patron Ian Orr has created an inspired restaurant. The staff are delightful and surrounding countryside sublime. Country Escape - A beautiful country house tucked away amidst wodland and surrounded by some serious natural beauty. Fishing - Ardtara is close to a variety of good rivers and lakes and the Irish sea is only 45 minute drive away. Sights nearby - Make a trip to the nearby Dunlace Castle. 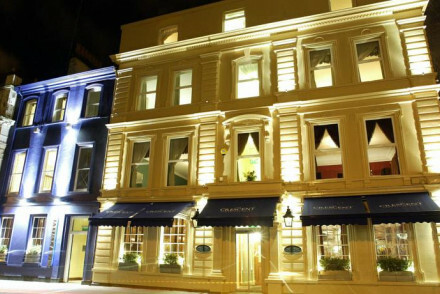 Right in the heart of historic Derry, the Shipquay Hotel is an excellent place to stay. Featuring plush rooms, a fine restaurant and spa facilities, it's a great base for a weekend of exploring the fascinating Walled City. Sights nearby - A short walk from The Millennium Forum and the Guildhall. Great walks - Go for a walk along Derry's historic city walls. 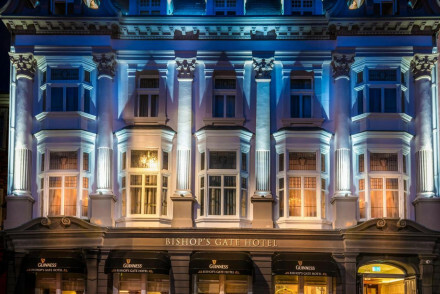 Within the city walls of Derry, the Bishop's Gate Hotel oozes class and sophistication. It features sleek rooms, an atmospheric bar and an excellent restaurant. It's central location makes it ideal for exploring the Walled City's fascinating history and culture. Sights nearby - History enthusiasts will enjoy a trip into the Bogside and to the famous Free Derry corner. Great walks - Go for a walk along the city's famous medieval walls. 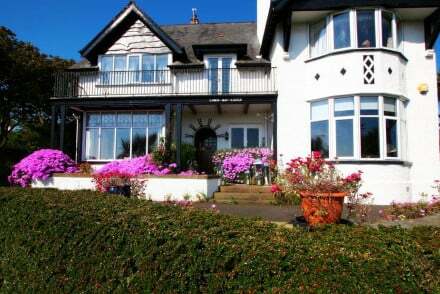 A quaint guesthouse overlooking the coast in the beautiful town of Bangor. Traditionally styled rooms feature elegant dark wooden furniture, patterned wallpaper and spacious bathrooms. A cosy, fire lit lounge offers the perfect respite after a day spent on the coast. Total relaxation - A quiet coastal guesthouse complete with spa and beauty salon. Sailing - Take a boat trip to unique island bird sanctuaries. 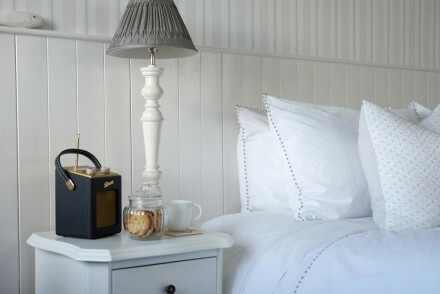 Overlooking Portstewart Strand, the Saltwater House is a stylish, modern B&B. With a selection of elegantly designed rooms and delicious breakfasts, it's a great base from which to explore the surrounding coastline. An especially good spot for keen golfers. Sights nearby - Take a trip to the magnificent Giants Causeway. Great walks - Go for lovely walks along Portstewart Strand.